WHAT IS HEPATIC LIPIDOSIS OR FATTY LIVER SYNDROME IN CATS? Hepatic Lipidosis is a potentially fatal liver disease in obese or overweight cats.It occurs when, for any reason at all, a very fat cat stops eating for a short time, such as two days. WHAT HAPPENS IN THE BODY TO MAKE THE CATS SO ILL? When they stop eating, the body breaks down it’s fat stores for energy. In order to turn fat to energy in the body, the fat has to be converted to energy by the liver. 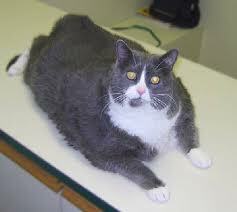 But in these very fat cats, too much fat gets broken down at one time, literally swamping the liver with fat. The liver cannot handle this load of fat as it lacks the ability to process a large amount of fat in a short space of time, so the fat gets stored in the liver in the meanwhile until the liver is ready to process it. But unfortunately such large quantities of fat hit the liver at one time, that the liver cells (hepatocytes) fill up with this stored fat and get so full of fat that the fat takes up all the space inside the cells and they cannot work properly. Because they can’t work, they can’t convert fat to energy, so the body keeps on breaking more and more fat down, which overloads the liver even more in a vicious cycle. The liver becomes so full of fat that it loses the ability to do anything at all and poisons and bile build up in the body, making the animal very jaundiced and extremely ill. If not recognized and treated promptly, these animals can die. WHAT ARE THE SYMPTOMS OF HEPATIC LIPIDOSIS OR FATTY LIVER DISEASE? 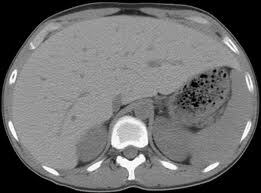 Ultrasound and MRI Scans will show a very large liver – looks almost white or hyperechoic. Increases in blood liver enzymes – ALP raised is a good predictor of fatty liver syndrome. ALT and Bile acids also raised as liver function is affected. The liver looks very large, is brittle and white during laparotomies. (Unfortunately most of these cats are very ill and many will not wake up from a general anaesthetic, as the liver is needed to break down the drugs used to anaesthetise an animal. 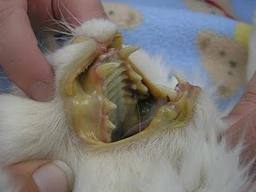 If your cat must be put under general anaesthetic, your vet should use gas only and not Halothane. Isoflourane is better. FEED THE CAT!!!!!!!!!!!!!!!!!!!!!!!!!!!!!!!!!!!!! 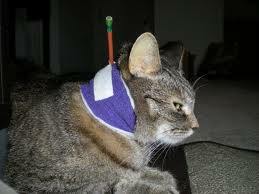 This is the only way you have to get the cat healthy again. Most of these cats won’t eat on their own at all, so in less severe cases, they can be syringe fed for 2-3 days but in more severe cases, a feeding tube is placed, either in the nose or the side of the neck down into the esophagus or food-pipe and the cat is fed a number of small meals daily of a high protein, high carbohydrate, highly digestible food. Severe cases may need to be tube fed for more than 8 weeks – don’t give up after two weeks and think they aren’t going to get better. Most appetite stimulants aren’t reliable, Valium based drugs used to be used but have been found to have dangerous side effects in cats and are no longer recommended. Cortisone is contraindicated and insulin doesn’t work. Give them liver support – multivitamins, both water and fat soluble and drugs such as Ursodeoxycholic acid to help them excrete the toxins. Treat as early as possible – don’t leave them without food for a week and then when they are jaundiced start to treat them. You will lose your cat that way. FAT CATS SHOULD NEVER STARVE, EVEN FOR A DAY!! 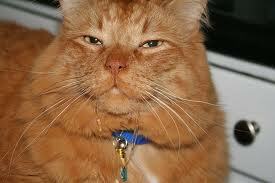 Prevention is better than cure – watch what they eat – a cuddly cat is NOT happy and healthy. 3 Responses to "Health Focus – Hepatic Lipidosis or Fatty Liver Syndrome in Cats"
old cats often cannot pull their claws back in. Hi, my cat started to use her claws more than she usually does to grab onto furniture and people and getting stuck but she doesnt seem angry, she use to always keeps her claws in and she 9 yr old so i thought she would be too old to change her habits. could there be something wrong that cant be seen cos she cant tell me that shes having problems with walking and jumping with claws?